Johann Sebastian Bach once said, “It’s easy to play any musical instrument: all you have to do is touch the right key at the right time and the instrument will play itself.” Music has been around since the dawn of time. Its incredible diversity in the sounds, genres, instruments, and emotions makes music is a universal language. Well, maybe not technically a language, but people can connect in such a way that sometimes words cannot reach. So here are a list of the top five reasons why you should learn a musical instrument! There is no denying that stress affects everyone. But did you know that playing a musical instrument actually helps in relieving stress, anxiety, and even depression? When jamming out, the body is given something to focus on. The mind, breath control, posture, voice, and fingers are all working together. This creates a sense of balance in the body. Music is actually used as a form of therapy for people of all ages. Many studies have been done on the affect music has on our brains because our brains function in rhythms. There is a study called the Mozart Effect where listening or playing music before performing tasks can help in problem solving and thinking clearer. Learning a musical instrument is a tedious task. A lot of time and effort is put into getting good, so it takes a lot of patience. Even famous rockstars have to practice. No one is born knowing how to play the guitar! The beauty about every instrument is there are many ways to play each of them. You have the option of what you want to play and how you want to play it. If you wanted to play a Reggae cover of Johnny Cash’s Wheel of Fire, no one’s gonna judge you! Studies have proven that music in all forms helps relax the brain and boost dopamine levels. What’s more gratifying than watching yourself get better and better at making music? Interested in learning a bit more about picking up an instrument? Contact your local Bookmans. 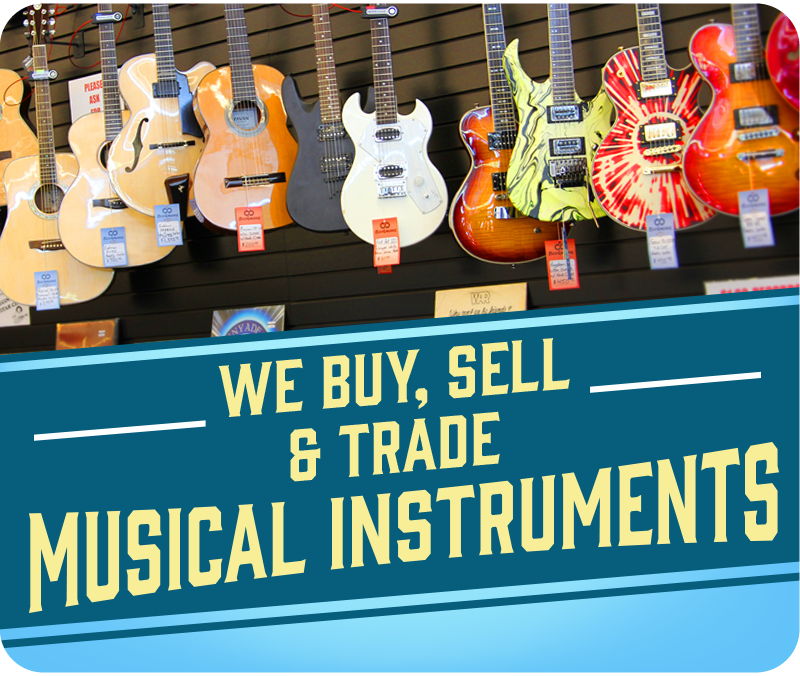 We sell a variety of instruments including ukuleles, acoustic and electric guitars, basses, djembes, trumpets, harmonicas, banjos, violins and so much more!